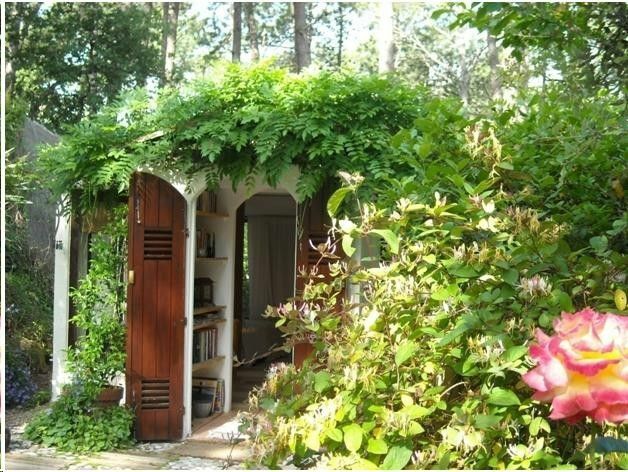 Charming cosy cottage surrounded by aromatic plants and a delightful garden... just a few minutes walk into the lively authentic Provencal village of Vidauban. Includes: WIFI, bed linen and towels. Free transfers on arrival and departure from Les Arcs-Draguignan train station. The bathroom is contemporary, light & with plenty of storage. Heated towel rail & hairdryer... plus towels are included... There is a washing machine available for guests use in the villa. Panoramic views across this beautiful countryside to the hills and mountains beyond. Just a few minutes walk into the delightful authentic Provencal village of Vidauban. There is only space for 1 car per property. If you have a low or very large car please let us know before your visit then we can try & reserve the appropriate parking space. fully equipped with everything to take advantage of the wonderful local Provençal markets. the communal dipping pool is a couple of minutes away at the other side of the villa. Now heated with solar panels. A superb place - we'll be back! I can only echo the other fantastic reviews of this place. Gilli and Andre were superb hosts and couldn't have been more helpful when needed, while also leaving us to our own devices. The Cabanon is perfectly equipped with almost everything you could possibly need and the terraced garden is fantastic for relaxing in. The dipping pool was lovely after a hot Provence day. Vidauban is well situated for a number of local markets and vineyards, while the Gorge du Verdon is less than an hour away. I would thoroughly recommend getting a ferry out to the island of Port Cros - just stunning. Lovely retreat, great hosts. Everything we needed in a beautiful location. The perfect place to relax and explore the region. Gilli and Andre were always on hand but never intrusive. The cabanon is small but well equipped and excellent wifi. The only flies in the ointment so to speak were the mosquitoes but they were kept at bay from the cabanon by plug in repellent supplied. Thanks Gilli and Andre. On arrival at the property we were met by Andre and Gilli our lovely friendly hosts who could not have been more accommodating. They kindly showed us around the cabanon and up to the dipping pool and beautiful gardens. We were so happy to be here after many hours of driving, it was the perfect place to settle and enjoy the sights around Vidauben. The cottage is well stocked with everything you could possibly need and also has the thoughtful addition of books, local maps, leaflets and guides of Provence and the local area. Our dog was made very welcome too! Great communication before our trip. We would highly recommend coming to stay. Thank you Andre and Gilli! What a delightful cottage. Cosy and very clean. We didn't know what to expect from the area at this time of year but it was fabulous. The weather was extremely pleasant and the area offers everything you could want from gorgeous walks to lovely little shops and markets not to mention an abundance of famous french food! We will be back. We have rented lots of little houses in France and our stay with Andre and Gilli was definitely the best. We could not have asked for better hosts or a more beautiful place to stay. We really didn't want to leave. Vidauban is a great little town with all the facilities you could want and you really can just walk down to town to grab your morning baguette or an evening beer in the square. The highlight of our stay was using the pool and enjoying the gardens which are lovingly cared for. It was very hot while we were there so the pool and the umbrellas were very necessary. We really loved staying here and are already planning when we can return!! Just a few minutes walk into the active authentic Provencal village of Vidauban. With a generous variety of shops and amenities that as everything that anyone could need, including a delightful Sunday morning Provencal market. Between St Tropez & Gorge Verdon, amidst vineyards & medieval villages this is a beautiful area to explore: hills & valleys', rivers and lakes & only 30 min from the Mediterranean and the Cote d'Azur.